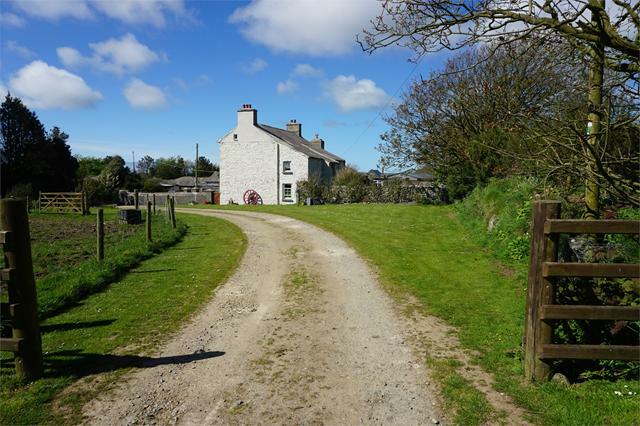 *An exceptional 7 Acre Residential Smallholding. 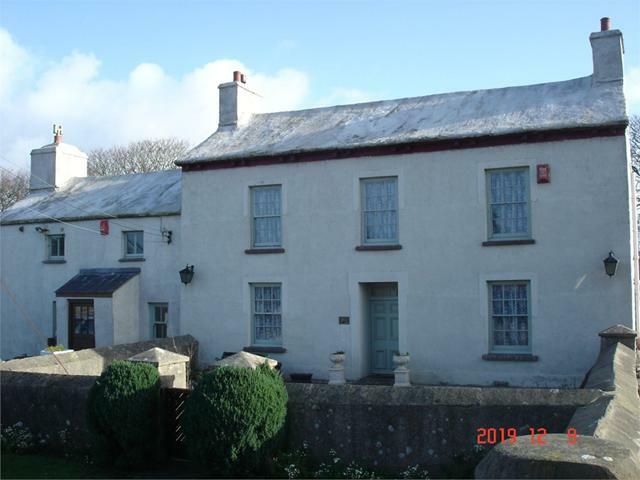 * Period (Listed Grade II) Farmhouse Residence with character, well appointed 3 Reception, 2 Bathroom and 5 Bedroom Accommodation. 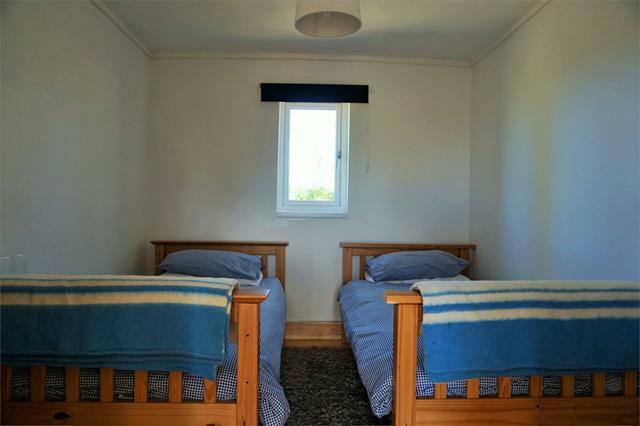 * Newly Constructed Log Cabin (40' x 20') with 2 Bed Accommodation, uPVC Double Glazing and Electric Heating. 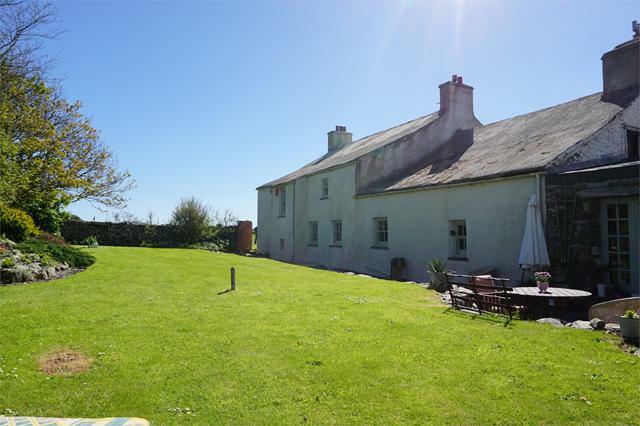 * Delightful Gardens and Grounds and 7 Acres of Pasture Land. * Inspection essential. Realistic Price Guide. EPC TBC. 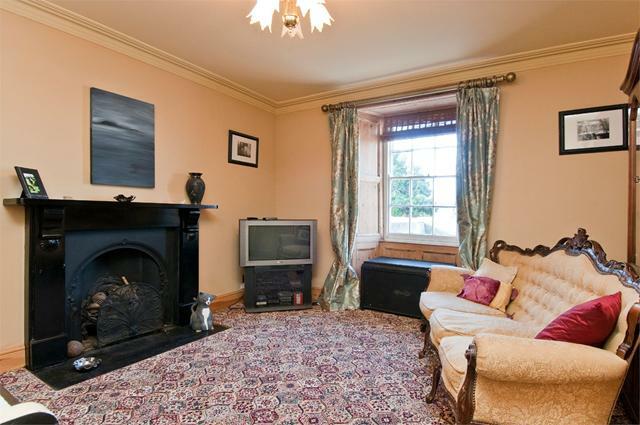 14' 9" x 12' 11" (4.50m x 3.94m) with fitted carpet, double panelled radiator, cast iron and slate open fireplace with a slate hearth, attractive cornice, ceiling light, power points and a single glazed sash window with shutters. 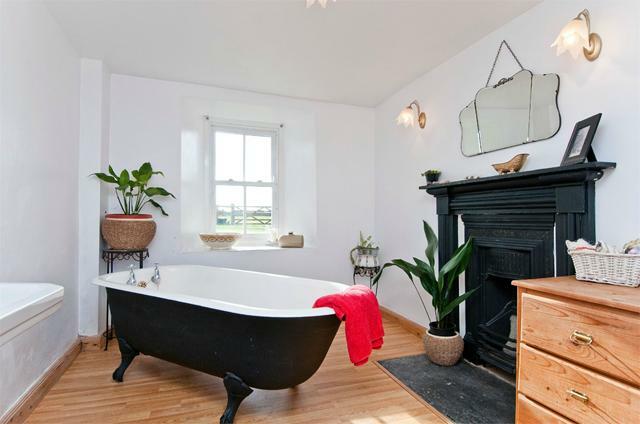 11' 6" x 8' 3" (3.51m x 2.51m) with a laminate Oak floor, double glazed sash window, white suite of Roll Top Bath, Wash Hand Basin and WC, ceiling light, radiator, tile splashback, cast iron feature fireplace, 2 wall lights and lower walls half clad with timber. 10' 8" x 9' (3.25m x 2.74m) with slate floor, open beam ceiling, Belfast sink with hot and cold, wall shleves, slate/cold slabs and ceiling light. with ceramic tile floor, shelves and an electric light. Side Entrance Porch with original dog gate,ceramic tile floor, coat hooks, shelves and an Oak door to exterior. 9' x 8' (2.74m x 2.44m maximum) with a Grant freestanding Oil Boiler (heating Domestic Hot Water and firing Central Heating), uPVC double glazed window, uPVC double Glazed door to exterior, ceiling light, coat hooks and a prelagged copper hot water cylinder and immersion heater. N.B. 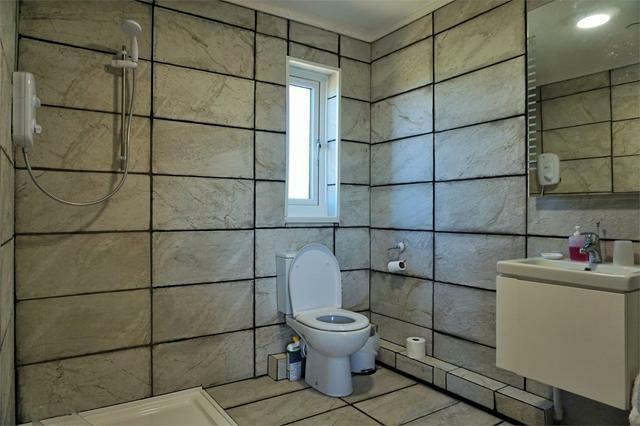 This room would be ideally suited for an additional WC as drains are directly outside. 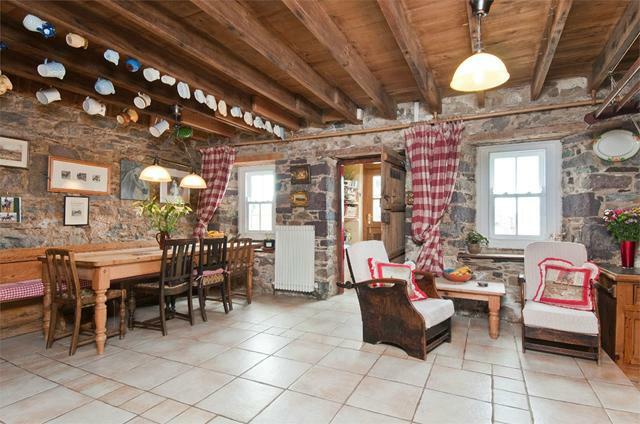 25' x 13' 9" (7.62m x 4.19m maximum measurement) with exposed 'A' frames, 3 ceiling lights, ample power points, radiator, 2 opening windows, whitened natural stone walls and a double glazed door giving access to an external stone and slate stair leading to the Yard directly to the fore of the Farmhouse. 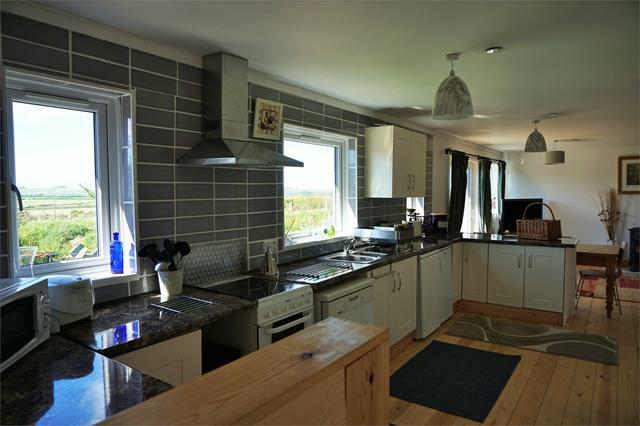 with fitted carpet, double panelled radiator, ceiling light and access to an Insulated Loft. 11' 7" x 8' 1" (3.53m x 2.46m) with painted pine floorboards, single glazed sash window with shutters, white suite of Wash Hand Basin, WC and a glazed 'D' shaped Shower Cubicle with a Mira Event Electric Shower, ceiling light, pine tongue and groove clad ceiling, tile splashback and a double panelled radiator. 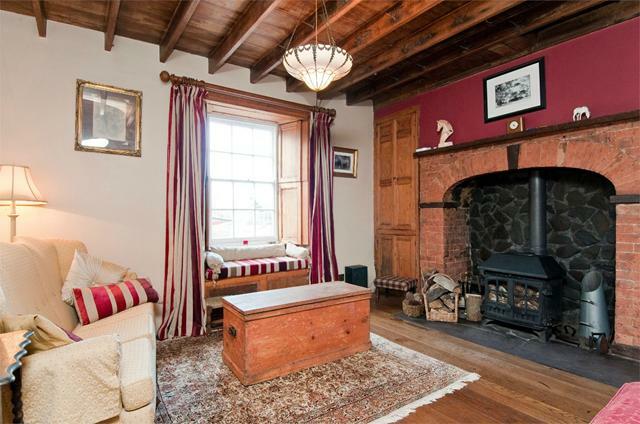 15' x 11' 3" (4.57m x 3.43m) with pine floorboards, feature cast iron fireplace with pine surround and slate hearth, open beam ceiling, ceiling light, pull switch, single glazed sash window with shutters, picture rail and power points. 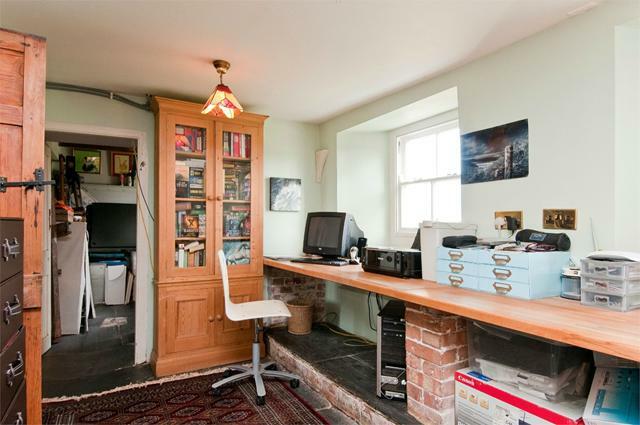 15' x 14' (4.57m x 4.27m) (maximum) with fitted carpet, single glazed sash window with shutters, feature cast iron fireplace with pine surround, built in wardrobe with pine door, built in cupboard with shelves, ceiling light and power points. 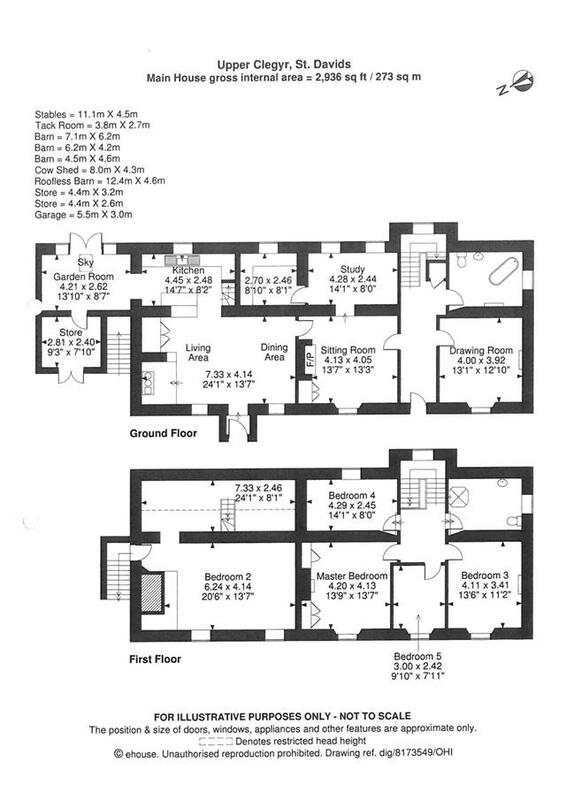 11' 8" x 8' (3.56m x 2.44m)(maximum) with pine floorboards, single glazed sash window with shutters, open beam ceiling, ceiling light, pull switch and power points. 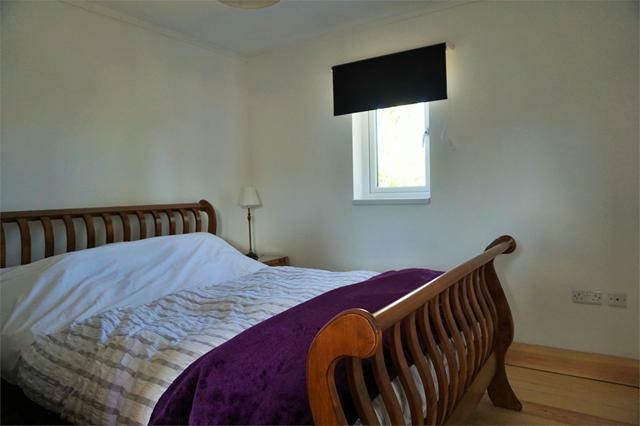 14' 2" x 8' 2" (4.32m x 2.49m) with sloping ceiling, double panelled radiator, 3 ceiling spotlight, power points, single glazed window with shutters and 2 wall lights. 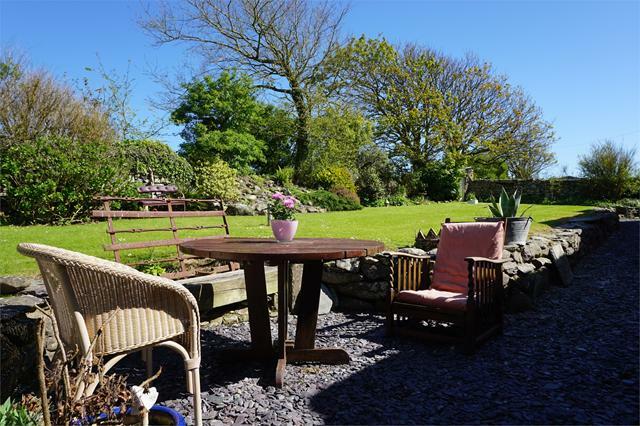 Directly to the fore of the Farmhouse is a Walled Garden with Flowering Shrubs and Slate Chip areas and to the rear of the Property is a good sized enclosed Lawned Garden with Flowering Shrubs, Hydrangeas and a Slate Chip Patio area. There is also an Outside WC. 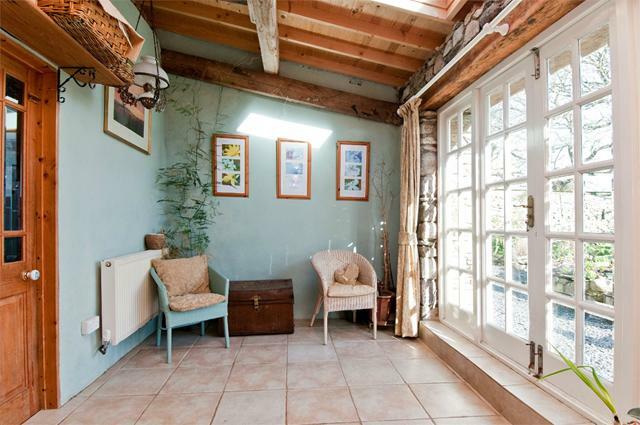 Adjacent to the walled garden at the fore is an Old Well and a Wood Shed together with concrete hardstanding area which allows for ample Vehicle Parking and Turning Space. 10' x 8' 9" (3.05m x 2.67m) with uPVC double glazed window, Dimplex electric heater, pine floorboards, ceiling light, radiator, TV point and ample power points. 10' x 9' 8" (3.05m x 2.95m) with pine floorboards, uPVC double glazed window, Dimplex electric heater, TV point, ceiling light and ample power points. with fully tiled walls, ceramic tile floor, white suite of WC, Wash Hand Basin and Shower Tray, Mira Vista electric Shower, ceiling light, chrome electrically heated towel rail, extractor fan and an illuminated wall mirror. 19' x 12' approx. 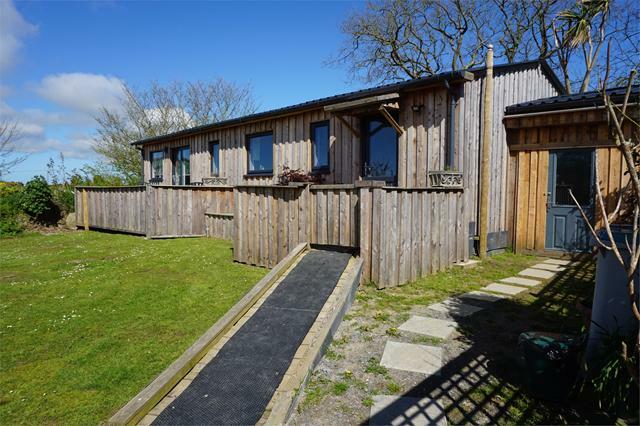 (5.79m x 3.66m) with pine floorboards, uPVC double glazed patio doors to a raised Timber Patio area (from where delightful Rural views can be enjoyed), Dimplex electric heater, ample power points, 2 ceiling lights and TV point. Utility Shed 8' x 7'9" with electric light, power points and plumbing for a washing machine. Garage (19' x 9') of concrete block construction with a corrugated cement fibre with double wooden doors. 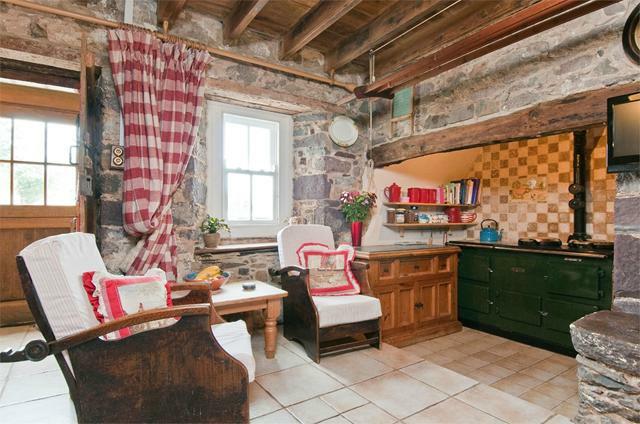 Stable (15' x 15') of stone construction with a pitched grouted slate roof and a cobbled floor. slate roof and a Yard to fore (15' x 15' approx) which is enclosed by a gate. Stable 2 (15' x 13') } with electric light and power points connected. Tack Room (12' 6" x 8') of concrete block construction with a corrugated cement fibre roof with strip light and power points. Implement/Store Shed (23' x 20'approx) of stone and concrete block construction with a corrugated iron roof. Hay Shed (27' x 14' 6") of stone construction with a pitched grouted slate roof. 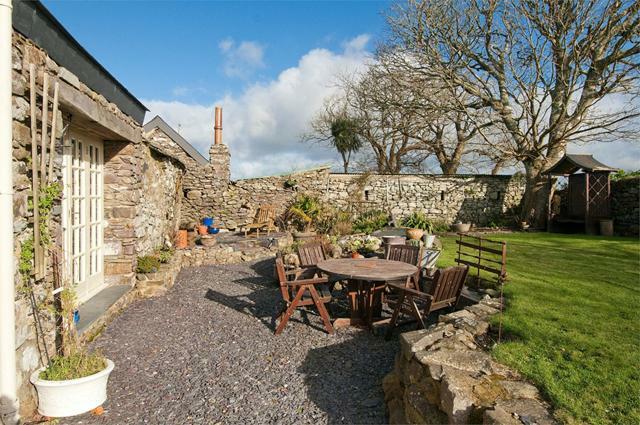 Former Cowshed (21' x 14)' of stone construction with a pitched grouted slate roof with a pedestrian half glazed door to rear Garden. Lean-to former Store Shed with stone walls. Avery (8'6" X 7' 3"). Garage/Workshop (17' x 16') of stone, concrete block and timber construction with a corrugated iron roof and double wooden doors. Store Shed (14' 9" x 10' 9") of stone construction with a Box Profile roof together with electric light and power points. Lean-to Pony Stable (16' x 8' 6" ) of stone construction with a corrugated iron roof. Calf Shed (10' x 7' 9") of stone construction with corrugated iron roof. Calf Shed (13'6" x 10') of stone construction with a corrugated iron roof. 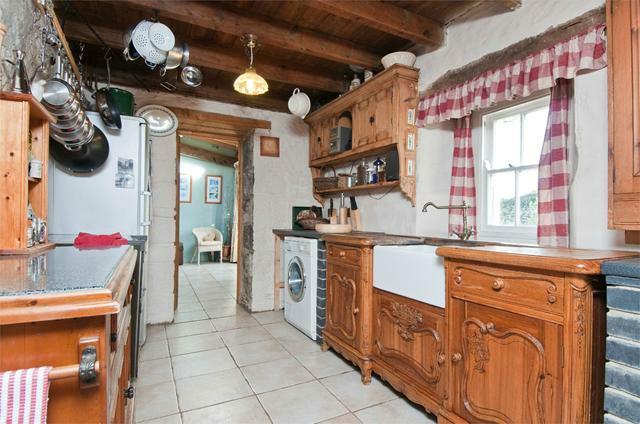 Directly to the fore of the Farmhouse and the Outbuildings is a Large Concreted Yard. There are also 3 Outside Water Taps and several Outside Electric Lights. 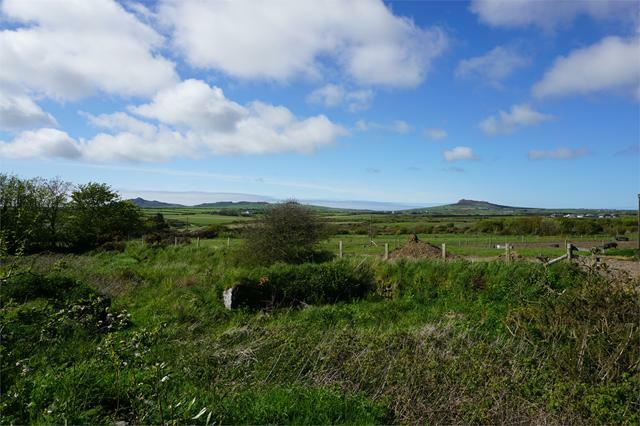 The Land in total extends to 7 Acres or thereabouts which is all down to Permanent Pasture and sub divided into several paddocks. The boundaries of the Property are coloured red on the attached Plan. Mains Water and Electricity are connected. Drainage to 2 a Septic Tanks. 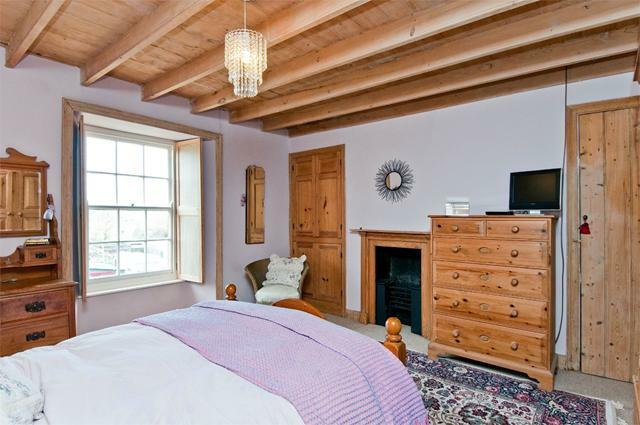 Oil Fired Central Heating throughout (with the exception of 3 First Floor Bedrooms). Single Glazed Windows with exception of 2 Harwood Painted Double Glazed Sash Windows in the Living Room, 1 double glazed hardwood window in downstairs Bathroom. Telephone, subject to British Telecom Regulations. Broadband Connection. Loft Insulation. Listed Building Clegyr Uchaf is a Listed Grade II Building. Rights of Ways A Bridle Path Right of Way runs alongside the Western Boundary of OS. No 4723 between points 'A' and 'B' on the Plan.